The St Tudno seafront hotel in Llandudno has a very interesting past. Those who are familiar with the tale of Alice in Wonderland will undoubtedly be aware of the young girl name Alice in which the story is focused upon. The author of the book, Lewis Carroll, found the inspiration for character of ‘Alice’ from a young girl named Alice Liddel who spent her holidays in Llandudno in 1861. The census for that particular year showed that Alice Liddel and her family resided at what is now known as the St Tudno Hotel. 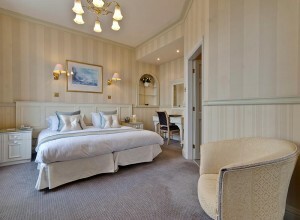 The hotel is not only known for its connection to the worldwide famous novel, its location on the Llandudno Promenade and its elegant interior makes the hotel a popular choice with many visitors of the seaside town. 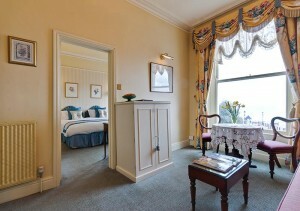 Each of the eighteen bedrooms within St Tudno are individually decorated and designed. Elegant and sophisticated with hints of Victorian inspiration found throughout, most of the rooms feature plush king-sized beds and even whirlpool baths for added luxury. 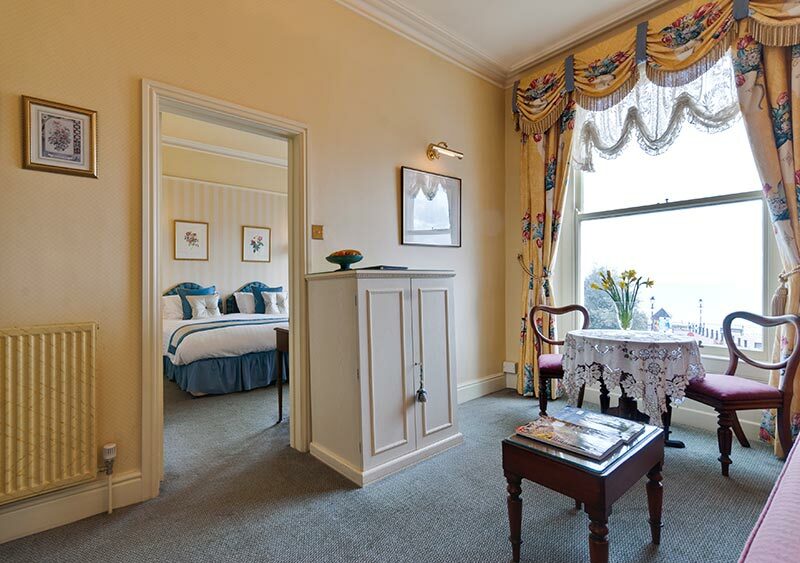 There are even two deluxe suites available if you’re looking to experience Llandudno in true style, with fantastic views of the promenade and sweeping coastline. 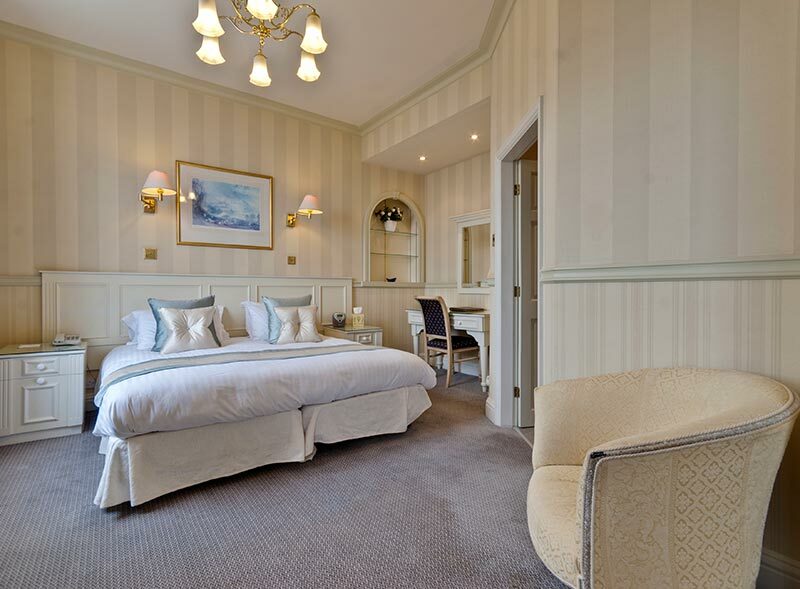 It’s the little extras that make a stay in St Tudno special, including luxury monogrammed bath robes, deluxe toiletries and home-made biscuits upon arrival. If you can’t go a day without a refreshing cup of tea, you’ll be pleased to know the hotel also offers a classy Villeroy and Boch tea service straight up to your room. There are plenty of place within the hotel to sit and enjoy the views. The residents Sitting Room, with its decadent Victorian-style decor offers superb panoramic views of the promenade with plenty of comfy seating. Also not short of Victorian charm is the hotels bar lounge, a warm and inviting room which is a popular space for light lunches and afternoon teas within the hotel. St Tudno is unique in the way that it offers escorted day trips, in a very sleek and luxurious Jaguar XJS. You can even pre-order a picnic basket complete with chilled drinks (both non-alcoholic and alcoholic) from the hotel restaurant and take it along with you to your destination.